IBM's decision to license its future Power8 processor to third parties doesn't mean life has ended for the current Power 7+, which will go alongside x86 chips into new PureFlex System preconfigured servers announced on Wednesday. 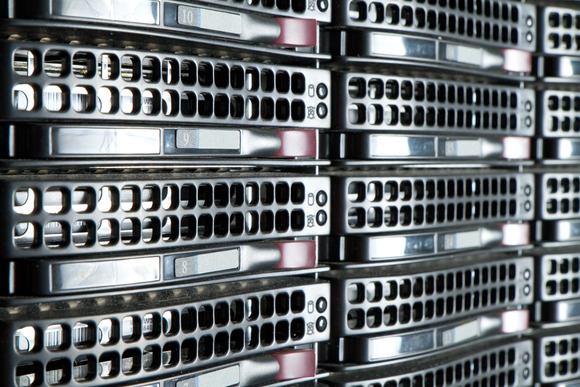 The new servers are targeted for hybrid cloud deployments. The single-chassis PureFlex System Express is aimed at small and medium-size businesses and has an "affordable entry price point," IBM said. The more expensive PureFlex System Enterprise is an is a high-uptime server available in multiple configurations. The servers will become available starting Nov. 15 and pricing will be announced then, an IBM specification sheet said. PureFlex System servers tightly couple IBM hardware and software to run specific applications. A system consists of storage systems, networking components, and computing boards with CPUs, memory and other processing units such as graphics processors. The PureFlex System Enterprise server has more networking, server management and storage options than the PureFlex System Express, which is less flexible. The systems can run applications such as databases in closed virtualized environments, or those workloads can be moved into the cloud. The servers also have new desktop virtualization tools through the SmartCloud Desktop Infrastructure, which is a bundle of hardware, software and services to centrally manage virtual machines. "SmartCloud Desktop Infrastructure supports a wide range of hardware, software and hypervisor platforms from multiple vendors to provide more flexibility to choose what you need," an IBM spokesman said in an email. IBM is trying to provide computing flexibility through its PureFlex System servers with support for multiple operating systems and chips, said Dean McCarron, principal analyst at Mercury Research. The servers can run on Windows, Unix and Linux. "What they are doing with PureFlex, they are doing some tuning and configuring for end markets," McCarron said. IBM has a legacy user base that may want to stay on Power, and PureFlex System provides x86 for other workloads, McCarron said. IBM's server sales sputtered during the second quarter of this year, with revenue on System x and Power servers declining by 10 percent, according to IDC. The company has taken steps to expand its server reach, cutting the price of its FlexSystems to reach out to the wider audience of small and medium-size businesses. In an effort to push Power chips to more servers, IBM in early August also said it would license the upcoming Power8 chip architecture to third parties such as server and component makers as part of a development alliance called OpenPower. Early Power licensees include Google, Tyan, Nvidia and Mellanox.